← New RPC Plug-in for AutoCAD 2012. Now featuring Drag & Drop. We’re distributing our RPC Plug-in for AutoCAD 2012 for free and we’ve also included demo Plug-ins and sample Content for use in a wide array of other Autodesk apps! Here’s a quick tutorial to help you get up and running once you’ve downloaded the Plug-in from the Exchange. How Do I Find the Autodesk Exchange? Only one way for now. 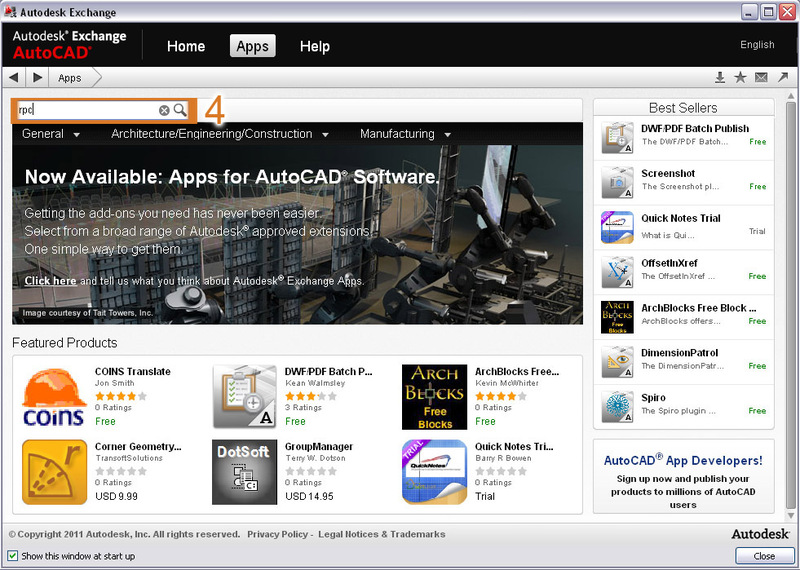 AutoCAD 2012 users access the exchange in-app via the ‘Apps’ tab. We encourage users to check it out. We’d like to know what you think about the exchange! Once you’ve tried it, drop us a note. One Response to If It’s Useful to an AutoCAD 2012 User, It’s in the AutoCAD Exchange. Wow, now I can’t wait to try the new AutoCAD 2012! I hope that the User Interface just like AutoCAD 2011 or similar to it.